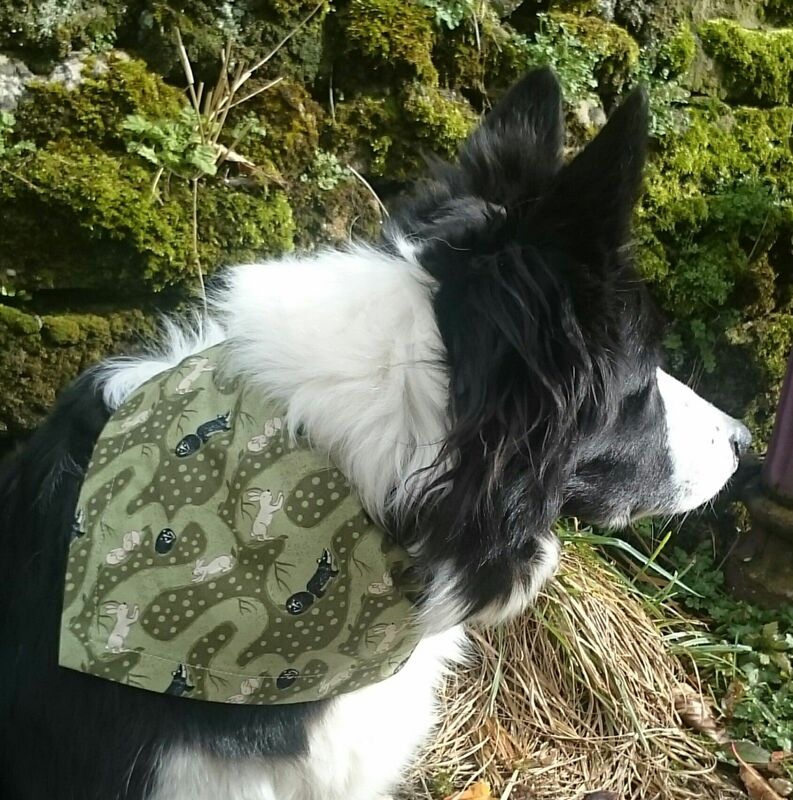 A adorable Bunny and Badger dog bandana from our Premium range. The design incorporates little bunnies and badgers in their burrows! The background is lovely shades of soft muted olive greens. It's a really fun print, and will certainly make your dog stand out in the crowd! It's perfect for the holidays, for the park, for any fun loving dog about town or country! !